Most grandparents love to babysit the grandchildren. This is a chore that they absolutely enjoy and look forward to. However if you’re baby sitting every day or several times a week it can be sometimes more than you can handle depending on your health and the temperament of your grandchildren. When they move in with you and it is assumed that you will be baby sitting some basic ground rules are really required to ensure that there are no disagreements and it is not a larger burden than what you can handle. For example establishing a schedule so that everyone knows who will be baby sitting and which days you have off is a huge advantage as well as a basic communication device. Every once in a while there will be emergencies. For example if your children cannot get home in time from work. They may need you to pick up your grandchildren from the babysitter, daycare or school. This is something that can usually be accommodated quite easily. On the other hand if it is assumed that you will do this several times a week. Some discussion is really required to make sure that you’re not being taken advantage of. They really need to get their jobs in order. Travel times need to be nailed down so that they can fulfill their own responsibilities. Always communicate up front and never let anything fester. If you keep it inside eventually there will be an explosion of emotion. This can cause long-term damaging issues between relationships. This is really the last thing you want to have happen between you and your children. For most grand parents it would break their hearts if they can no longer see their grand children. No one needs that, so if you have a concern deal with it quickly. Though it may generate conflict at the time it will be far less then if you allowed it to continue. Communication is one of the most important skills you can have when it comes to dealing with family issues. For more thoughts about how to deal with adult children, click here. We are continuing with our series of articles about situations where the adult children have moved back home with their parents. This particular post is about preparing for the children to move out. Planning to move out is just as big a job as moving in. Sometimes these situations cannot be avoided and the parents must arrange for their children to move back home until they find a job, find a new house, or get their financial affairs in order. When the time comes for the adult children and perhaps grandchildren to move out is a good idea to be really well organized. In most cases, your house has been used as a storage area while they have been looking for another home. In most cases they will take 90% of everything they brought with them to the new location. But there will be some things that they do not have room for, or do not want, or forget to take with them. As a parent it is probably a good idea to have a conversation with your adult children. Discuss what will be left behind and what they will take. You may need to make sure you have Long term storage available for these items. If they are not being taken and are not wanted you may also want to sell them in a garage sale. Some things can just be thrown out in the garbage if they are not usable. Before disposing of any items always make sure that you discuss this with your children to avoid any conflict. Would you consider as garbage may be something of value that they had a planed use for. The last point is that you may also want to have a conversation about who is going to help with the move. In some cases the kids expect the adults to help i.e. parents or grandparents. Where as others will make arrangements with all of their friends to help them move. If this is something you’re comfortable with then by all means give them a hand. But not every grandparent is physically capable of doing this hard work. It is all about communication. Reach a common understanding about all of the issues associated with planning to move from your parents home. This post is a continuing series of articles about when adult children move back with their parents. We covered a number of topics over the past two months. However this one is about balancing the workload and pulling your weight while living at home. Imagine if your daughter, son-in-law and the children suddenly moved back into your house. How much extra work would there be with all of these extra people in your home? Should the parents take on the job of cleaning, laundry, cooking all the meals and other chores as a result of the kids moving back home? It can easily happen, especially if the parents are retired. Or if one of the parents is staying at home while everybody else goes out to work and to daycare. Ground rules need to be established before the children move back. Ensure that the workload is spread evenly and everyone pulls their weight. For example laundry can be an issue for many people. It is easier for the spouse who stays home to do the laundry during the day while everybody’s at work however this means extra laundry, folding, ironing and putting laundry away. Cooking is another example of extra work. Should the parents by all the groceries and prepare all the meals? Every family must work out their own personal situation. We happened to think that the children should be responsible for cleaning their own rooms and living area. We are quite comfortable vacuuming and cleaning the common areas of the house. Regarding meals one way to divide up the workload is for one person to cook, and another person to set the table, and another person to do the cleanup afterwords i.e. washing the dishes and putting them away. Of course the children need to be looked after, after the meal, bath, story time etc. so this is all part of the equation. Regardless of how you work it out, setting the ground rules ahead of time and following these ground rules will make everyone’s life acceptable and avoid any increasing level of frustration for the children, adults, moving back with the parents. This applies to short term as well as long term moving arrangements. Those are our thoughts about pulling your weight when children move back into the home with their parents. Let us know what you think. This is another post about adult children moving back to live with their parents. And this post is going to talk about how everyone needs a break at times from each other. Whenever you’re living with other people regardless of whether it is friends or family there are times when people just need a break from each other. Families are no different when you’re living in close quarters with each other. You cannot be around each other all of the time. This is just part of being human and part of human nature. We tried to make sure that while our children lived with us, granddaughter daughter and son-in-law, that we made time for each of us to have our own space. As a grandparents, we made sure that at night if the kids wanted to be by themselves watching TV in another room that was comfortable. After a little while it became habit to watch some shows together because we don’t like them together and other shows we would break apart and watch them in different rooms. The same applied on the weekend. We always went for coffee on the weekends and this was our time to be by ourselves and give the kids their space to spend time together. While they were living with us they had a built-in babysitter. So whenever we were at home during the weekend or the in the evenings we made sure that they knew our schedule so that they could go out and enjoy themselves while we babysit. This was a pleasure for us and we enjoyed it very much. There does not need to be a schedule or a specific time when the whole family gets together or go their separate ways. You can sense when people need time to be alone versus time to spend together. One thing that we always did though was we had supper together during the week. On the weekends it would be a little different and much more flexible however Sunday night we would be together for Sunday night supper. Hope this helps those people going through the same issues that we went through. If you have comments or suggestions please feel free to leave comments on our comment log. This post is about having second thoughts after making an offer on a home. The deal being accepted at a price that everybody was satisfied with brings a new round of anxiety. Buying a house is the single largest expense most people have in their lives. We’ve been talking about adult children moving back home with their parents along with grandchildren. We have discussed many of the issues that come up when an event like this. This particular post we will talk about some of the second thoughts that they had after closing the deal with the seller. You are ready for them to move into their own place. But at the same time you want them to get a good deal and not be disappointed. After all of the excitement of negotiating a deal on the home, reviewing the inspection report which is recommended for everyone, finalizing the mortgage on the home and the euphoria of all of this they had second thoughts about whether they made the right choice or not. Suddenly there are concerns about whether they moved into the right neighborhood, whether there are hidden issues in the house that they will have to make large repairs for, and whether they will be able to afford the monthly payments for the mortgage principal and interest as well as property taxes? This is pretty typical after everything has calmed down and you suddenly realize that you own a home! Homeowners particularly when it’s a first home routinely go through this second-guessing about whether they’ve made the right choice or not. The revisit all of the decisions, all of the analysis, and all of their emotions. In this case our daughter and son-in-law after discussing it many times felt that they had made the right selection and I can tell you that they are very happy with the choice they made after having lived in the home now for three or four months. It is a totally natural human function to reevaluate a major decision after it has completed. This is one of the biggest decisions that most people make in their lifetime. However it does take energy and emotion when you do this. It is better if you can avoid the whole situation and just look forward rather than try to second-guess. Save all of your energy for moving, decorating and settling into your home. Even if your home is pristine, there’s going to be lots of work to get it ready and get it to the level that you’re satisfied with. That too is just human nature! As a homeowner I have always had mixed feelings about whether house inspection reports are required when you’re making a purchase of a home, particularly an older home. This is another series of posts about adult children moving home with their parents. Then buying a house to move out from their parents home. 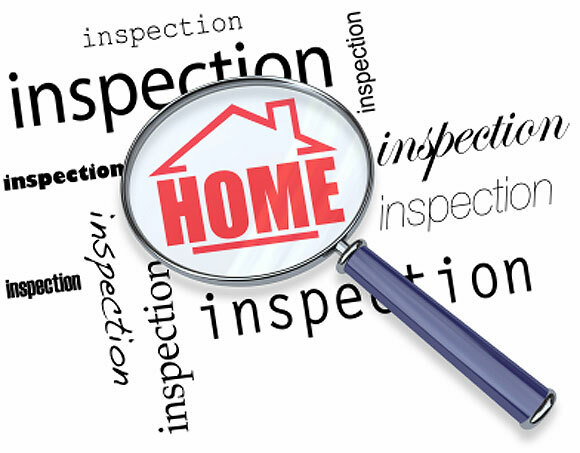 In this post we’re going to talk about house inspection reports. Our daughter and her husband requested a house inspection report for a house that they were interested in. The report was completed by a house inspector. It consisted of both narrative as well as many pictures to support some of the comments and thoughts that he was making with regards to the home. There were no significant surprises or concerns associated with the house that would prevent them from buying the home. There were a number of significant small issues, easily fixed and repaired that were identified in the house inspection report. These items were used to negotiate a slightly lower price in the overall cost of the home from the seller. Fortunately when they moved in all of these items were fixed or left as agreed by the agreement of purchase and sale. There were no major surprises. I observed secondhand the process of arranging a house inspection report. I was able to review the report itself compared to the home that was actually purchased and moved into. A house inspection report can actually be quite good value for many homeowners. Even though in this case there were no significant items that were identified, which was a good thing. All of the major repair or potential repair items were notified and a status provided. For example the state of the roof and the shingles were reviewed. Also the state of the furnace and air conditioning units were reviewed. The list included all potential items that could be a significant issue from a structural, and cosmetic perspective. Had any of these items been a major issue e.g. the roof needed to be replaced, this would’ve been either a major roadblock in terms of purchasing a house or a major negotiating tool in terms of negotiating a lower price. Based on some of this kind of analysis this home owner definitely feels that a home inspection report should always be arranged for by anyone who is buying a home. If nothing else it will give you peace of mind when you’re making an offer on a home that you’re planning to purchase. This is another post about adult children moving home with their parents and then moving out again. There are lots of issues to consider when your children move back with you. Also as well as when they move out to their own home. This particular post will talk about the art of negotiating the price of the home that they want to purchase. Taking into account the emotional issues associated with whether this is the right choice as well as getting really excited about a house they have fallen in love with. When our kids had found a home that they really liked, the next step was to negotiate the price that they were willing to pay for it. Obviously they were going to offer a lower price than what the seller had listed it at. However the question was what price should you offer without insulting the seller and at the same time paying too much? They used a real estate agent who gave them comparable prices for some other homes in the area. 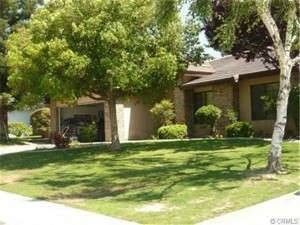 Based on that they decided to make an offer that was about 5% below what the seller was offering the home at. This was quickly countered by the seller offering approximately 1% reduction. After going back and forth a couple of times, they realized they were about $3000 apart. At this point they decided to take the offer, simply because it was the house they wanted and they did not want to risk losing this particular home. It also did not make much difference in terms of their monthly payment over the life of the mortgage. During these negotiations my son-in-law and myself would discuss the price that they were going to submit. What we thought the seller would think of it and what his response might be. I would take the sellers position and he would take the buyers position and we would discuss the options back-and-forth to come up with the appropriate strategy for the offer. It was just not the price that was being discussed, it was making sure that everything they wanted included in the house was placed in the offer and included in the price. I really enjoyed this conversation with my son-in-law because it gave us another opportunity to bond. My daughter was also part of the conversation. However she was emotionally attached to the house and really didn’t care about the price much. She just wanted the house. It is so important not to get emotionally involved. You need to focus on negotiating a good price for a house in this case. It also caused a little bit of friction between my daughter and my son-in-law as they discussed buying the house and what price they would pay. 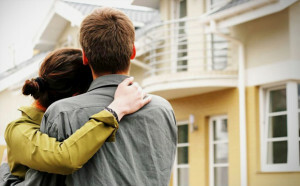 This is something to take into account as parents of children who are buying a home. How much you get involved. You may want to make comments about the discussion that is taking place. However sometimes it’s just as well to stay out of it and listen until your asked. After all they are the ones who are buying a house. They are the ones were making the mortgage payments and the tax payments. It is part of their relationship and they must work out these issues. 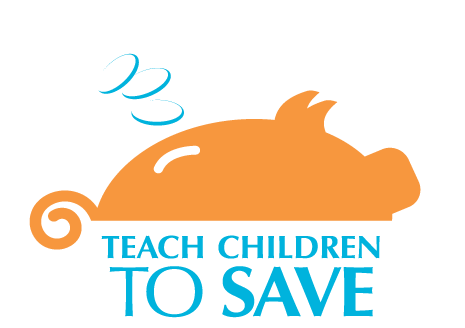 It is better for the parents to remain uninvolved as much as you can. For more posts about adult children living at home with their parents, click here. This is another post about adult children moving back with their parents. Our children indicated as an objective when they moved in with us was that they were looking for a home to purchase. They also wanted to find out what it was like to live in suburbia as a family. Versus buying a home that was closer to downtown and being able to walk to work. Living in the suburbs is not the same as downtown. You can walk to work, and have more selection of restaurants and things to do. They moved in with us and lived with us for approximately two months. Their commute from our house to downtown consisted of driving to a park-and-ride, catching a bus to the daycare, and then walking 20 minutes to work. Total trip time amounted to approximately one hour in both directions. This was compared to a 20 minute walk in total for them when they lived in their condo at their previous location. It quickly became evident that their decision to look for a home in the suburbs was a bad decision. They realized that all of the time spent commuting was not something they wanted to deal with. They quickly narrowed their search for a home to an urban area in the downtown area of Ottawa. Both of them wanted to be able to walk to work, bike to work in the summertime and also be close to daycare. This made their search much more difficult. It took a little bit longer however they were still able to find a home that they liked that met all of their objectives. They had to pay more for the house that they purchased because it was downtown and commanded a higher price. However they reduced their cost of commuting for gas, bus passes, and general frustration. They save approximately $300 a month for bus fares, gas and wear and tear on their vehicle. These savings can be put towards the mortgage. In addition in our city there is a huge amount of construction going on. The major thoroughfares are blocked at rush hour. That hour of commuting has now stretched further, making their move downtown an even better decision. It is always a trade off, cost of housing vs. time to commute and the cost to commute. Which would you choose? This was a good deal for them and well worth the effort of moving in with us and then moving to a home that they found that they were both happy with. For more thoughts and ideas about living with adult children, click here. This is another post in the series about adult children moving back home with their parents. This year our daughter, son-in-law and granddaughter moved back with us for a period of two months. It was a huge opportunity for us and a great learning experience. We found it very enjoyable to have our family altogether in one house. There are some things we learned and this is why were blogging about this experience that we were so fortunate to have. Life is a lot different when you have working families on a schedule living in your home. This particular post is about what we learned about working families on a schedule. We found that our family had to adopt a pretty strict schedule in the mornings. Evenings were a little less hectic however it’s very important to be organized and focused first thing in the morning if you’re going to keep a tight schedule to get to work. For example, our daughter got up at six to have a shower, our son-in-law got up at 6:15 to get our granddaughter up and dressed. Our daughter and granddaughter were downstairs by 630 to have breakfast and then the whole family was out the door by 7:05 to catch the bus downtown to get to daycare and to work. It’s a pretty hectic schedule in the morning and everything must go like clockwork so the grandparents, that would be us, pretty much stay out-of-the-way and let them get things ready. We did enjoy having breakfast together with our granddaughter in the morning though. In the evening there was a different schedule and somewhat less hectic. Our son-in-law would pick our granddaughter up and bring her home and then we as grandparents would look would look after our granddaughter while he made supper. When our daughter got home we would have supper together and then it was our turn to clean up the dishes and clean up after supper. Our granddaughter was in bed by 7 o’clock after having a bath and spending some time with her parents. We found that the schedule worked really well for us and for them. Every family has a different set of requirements and may adopt a slightly different schedule and may do different things. The reason our son-in-law made supper is that he likes to cook and he knows what his wife and granddaughter likes for supper so we let him do that and then we would do all the cleanup. The weekends of course were much different and much more relaxed. There are no schedules to keep and we can have our meals at various times usually always together, and do the weekly errands that needs doing during the weekend. Maintaining a schedule like this really helps to make sure that everyone is not stressed out etc. We should mention that our family had to take the car to the bus station, and park the car. Then they took the bus downtown. It was about one hour trip in both directions. This is a lot of time out of their day. We found also that our granddaughter was getting pretty tired by the end the week. 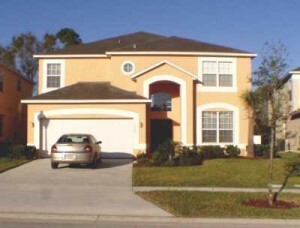 Our next post will be talking about living in the suburbs versus finding a home closer to work. Living downtown to minimize the commute time and the cost of commuting is at the top of their priority list. This is another post about adult children moving back with their parents. Having your daughter son-in-law and granddaughter living with you is an incredible opportunity. It also requires some adjustment to your daily living activity. In our case we have been 10 years without anyone living at home and suddenly we had our daughter, son-in-law and granddaughter living with us for two months. 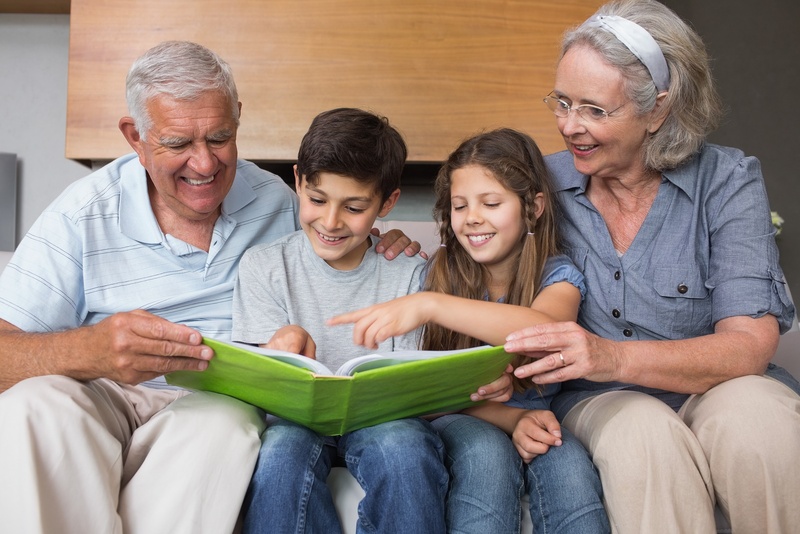 Living With Grand Children is a great opportunity to bond with your grand kids. In our case our granddaughter is three years old and is a wonderful little child. We truly love her and enjoy almost every minute she is around us. We would not be honest if we did not say that she is just like the majority of other children were she has a great disposition, lots of humor, lots of energy and like all children she sometimes has her moments when she is tired and grouchy. Having three people move in with you requires adjustment to your daily schedule and life. For example in the mornings there is a huge rush to get ready for work and get our granddaughter ready to go to daycare. We generally stayed out-of-the-way, we helped a little bit at breakfast time but other than that we let the parents do everything. In the evening it was our turn to look after our granddaughter while the parents got supper ready and did some of the household chores that they like to do. We got to spend an hour and a half with our granddaughter getting to know her and playing with her. At 7 o’clock it was bed time and time to get ready for bed and then we got to spend time with our daughter and our son-in-law. This was a truly great opportunity for us as grandparents to spend time with one of her grandchildren as well as our son-in-law and daughter. We enjoyed every moment of it and sure there were times when things did not go smoothly but that is to be expected in any families life. You deal with it, and move on and make sure there are lots of communications to resolve any issues or conflict. This is something I would recommend for all families providing that you have the patience for kids, and communicate well with your family. The other requirement is that everyone should pull their weight in terms of the household chores and duties. We would definitely do it again in a heartbeat. The previous post talked about adult children living at home. This post is going to discuss married children moving home along with grandchildren. That is what happened to us, when our married daughter and husband and granddaughter moved in with us after selling their home. There was a good reason for them to move in with us. They had sold their house and we’re in the process of looking for another but did not find anything quickly enough before they had to move out of their existing home. Rather than grab something that they might not have been satisfied with, they decided to move in with us and take their time finding the perfect home in a perfect location for them. This was something that we were willing to do and supported and we had the opportunity of getting to know our daughter again after being away for 10 years, our son-in-law and of course our granddaughter. This was something that we thoroughly enjoyed particularly having our granddaughter live with us and having an opportunity to get to know her a lot better. She is only three years old and it is the perfect age for them to live with us. We establish some early ground rules which made it very easy for us and for them to enjoy our home while they lived with us. The ground rules that we set up are pretty simple but worked for them and for us. These ground rules might vary by family and situation however it is definitely worth setting up ground rules and discussing them so that everybody is on the same page. We established space in the kitchen for them to store their foods and utensils that they wanted to use although we shared all meals together and groceries. In the mornings we stayed out of their way so they could get ready for work and get our granddaughter ready to go to daycare. In the evenings we would look after our granddaughter, while our son in law prepared supper. After supper we did the dishes and cleaned up so that they could spend time together. On the weekends if needed we would be happy to babysit anytime so that they can look for a home. There was never any pressure for them to move out. Everything worked out really well. With the basic ground rules in place we were confident that they would find a place to live within a reasonable time and at the same time enjoy their time living with us. These basic ground rules worked very well for us and the only other thing that we both agreed to was that if there was a problem we would make sure that it was discussed and communicated clearly so that nothing got out of proportion in terms of a disagreement. Establishing mutual agreed to ground rules was the key to our success. There have been lots of stories about adult children living at home. Some never leave, after graduating from high school or college. They just get a job and continue living with mom and dad. Others leave for awhile, find they can’t survive on their own and return. Still other adult children leave, get married, have children. Then the marriage doesn’t work and suddenly they are back with mom and dad. There are all kinds of reasons why adult children, their children and spouse will move back with mom and dad. It are specific case, our 30-year-old children actually our daughter and husband and granddaughter moved back with us for a period of two months. We were certainly okay with this and had agreed to it much prior to them actually moving in. They were trying to sell their condo, and had some difficulty in getting a sale. Once it was sold the buyer wanted a quick possession and so we agreed to have them move back with us until they could find their own home. They both have great jobs, and can easily afford to purchase another home. It was just too quick to be able to find the home they really liked and they did not want to make a snap decision on something that did not quite fit their needs. They were happy to move in with us for two months while they looked for a house. As it worked out they were able to find a home that had been vacated that met all of their conditions and within two months time they were moving from our house to the house of their dreams. This is a good news story for them and for us. We got to live with our granddaughter and got to know her really well as well as our daughter’s husband. We are still excellent friends and enjoy their company. They still come for dinner every second weekend so I guess we can say that things worked out but that is not the case for many couples. We will be doing a series of articles on this topic about adult children living at home, moving back in with mom and dad and finally moving out of the house. Stay tuned for more articles on this topic. For more about adult children coming home to stay or never leaving, click here. More and more parents are faced with this dilemma of whether they should help their kids with a down payment for a home they want to purchase. The short answer is that if you can afford it and it will not impact your life style or your retirement, why not. But helping the kids with a downpayment can cause problems for you. On the other hand if it will impact either of these situations, then maybe you should think about it. 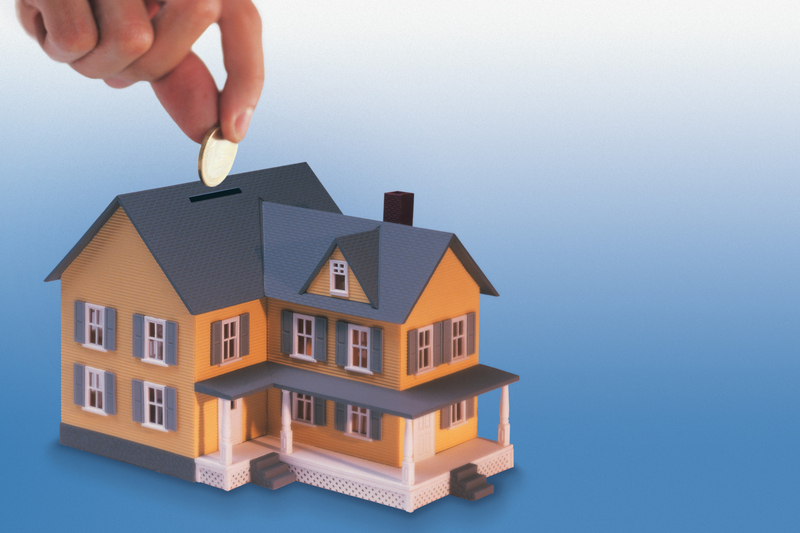 Helping the Kids with a Downpayment – Should you help them? Your kids will promise the world to you to obtain your help and everyone wants to help out when they can, but the reality is that you should assume that the money is written off and if it is paid back by some miracle then this is indeed a bonus. If you plan to give it to them and not expect anything back, then there is no loss as long as you are treating all of your other children in the same manner. There is not need to create any rivalry between siblings. Should it be a loan? Again if you do not need the money, just give it to them, however if you need some of this money to live on in your retirement, we suggest that it be a loan that is registered against the home. 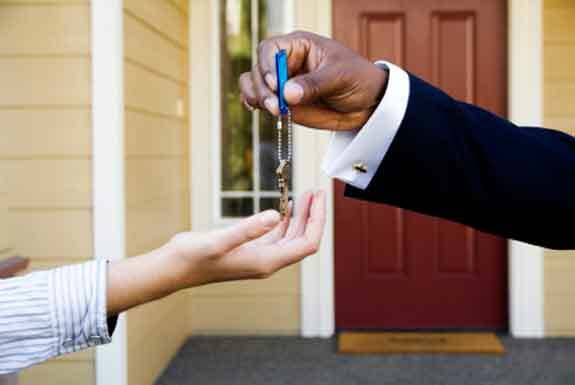 This way if the house is sold for some reason there is still a chance that you will get part of your loan back, in addition to whatever loan payments you may have received. Check into the tax consequences of gifting the money and if there is no appreciable tax implication and you do not need the money, why not give the money. You will get to see the enjoyment of how your money is helping out before you die. The answer really depends on how much and where you live. How do they treat the tax impact of gifting, of providing an interest free loan or an interesting bearing loan. Talk to an accountant first before the money is lent out and make sure that it is set up appropriately. Will it hurt your retirement? A key question to ask yourself before you lend any money. Don’t expect to be paid back. Evaluate the impact if any on your quality of life in retirement. Then decide if you can still go ahead with the loan. Do you enjoy helping your kids? The answer is probably yes. However many people will have concerns about the spouse of your kids and what the impact will be. 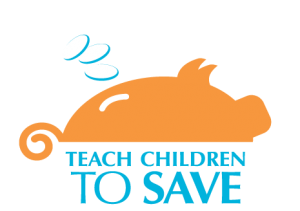 Also can you help all of your kids in the same way. This is so important to avoid any rivalry between kids and resentment. For more financial advice posts, click here.